Today, I am in a contemplative mood . 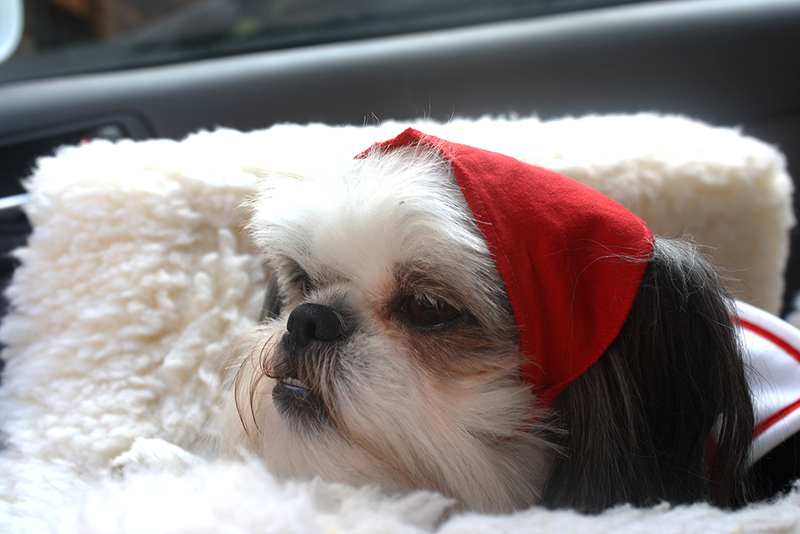 . . but maybe that is because I hate this outfit, and Mama has me all dressed up in this little red bandana. So, I am sitting in my car seat, looking all fluffy and cute and hoping that she will give me a treat. Aren’t my eyes just wishing and yearning for a treat? Yes, I am super cute. 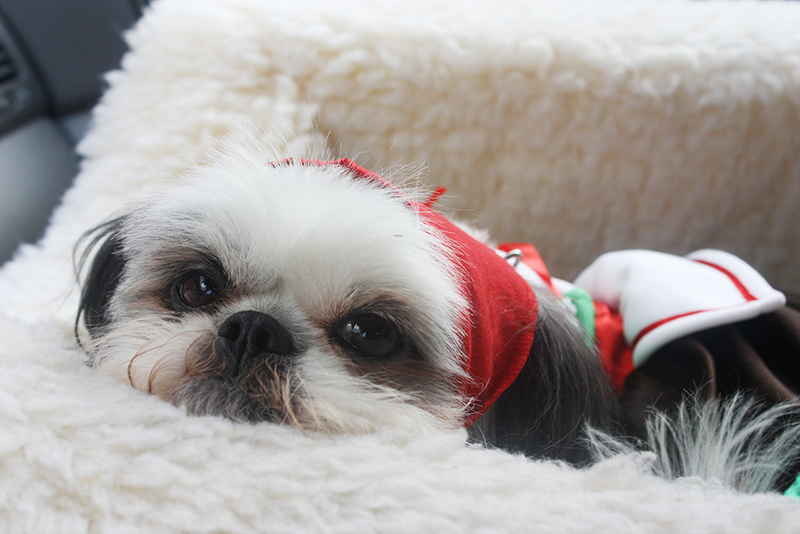 The red bandana makes me look like I’m all ready for Christmas, too!